The state of Maryland has a climate that encompasses dry, hot summers and frigid winters. As a result, homes within the state are very susceptible to foundation damage. This holds true in communities such as Ashton-Sandy Spring, which is located in Montgomery County. Even though it doesn’t border any bodies of water, Ashton-Sandy Spring still experiences a lot of moisture and humidity. Therefore, homes in Ashton-Sandy Spring experience foundation problems such as bowed walls, chimney tilting, and misaligned doors/windows. How do these foundational problems occur? Do you need foundation repair? If you’re looking for foundation repair in Ashton-Sandy Spring, look no further than AA Action Waterproofing. With extensive experience in basement waterproofing, mold remediation, and foundation repair in the state of Maryland, AA Action Waterproofing is confident that we can take care of your foundation problems. 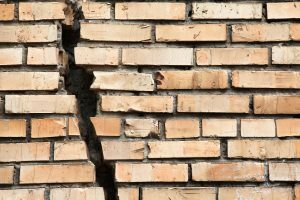 When considering foundation repair in Ashton-Sandy Spring homes, you need to understand how foundation settlement occurs. Over time, the walls of your foundation may begin to crack and separate. The effects of weather on the soil around your property is usually the most common reason for this occurring. Soil that is unstable and issues with drainage around your home attribute to this. Dry heat removes moisture from the soil, allowing it to shrink and move away from your home’s foundation. This space that is created allows for foundation movement and settlement, causing drywall cracks, concrete cracks, and eventually, stuck windows or doors. This foundation settlement refers to the downward motion of your house or building from its original position. Some form of settlement is normal around most homes, but if the soil that your foundation was built on is not compact, and contain spaces or voids, you may experience serious issues with foundation settlement. If you notice a crack about a quarter inch wide, or several smaller cracks within the ceilings, walls, or foundation slab, this may raise concern. To play it safe, it would be wise to consult foundation repair in Ashton-Sandy Spring. Having an expert with thorough knowledge on the subject will help you know how much damage has been done and what can be done to help combat the problem. Issues that have originated in the foundation can travel to the upper levels of your Ashton-Sandy Spring home. These upper level issues will usually come in the form of sagging floors or warped ceilings. Exposed gaps where the interior walls are supposed to meet with each floor and ceiling is also a clear sign of foundation damage to the home. Using a level tool, you can verify whether or not the slope is consistent on each floor and ceiling. If a level tool is not accessible, you can use a tennis ball to examine foundation problems. When placing a tennis ball in random locations on every floor, the ball should never move. If it does foundation repair in Ashton-Sandy Spring is needed. If you’re in need of foundation repair in Ashton-Sandy Spring, contact our reputable foundation repair company for all of your needs. AA Action Waterproofing has worked in the Maryland area for nearly 30 years, performing various aspects of home improvement. Don’t let your home continue to suffer. Failure to address these problems will only cause more problems and cost more money down the road. Visit our website today and see what our services are all about!